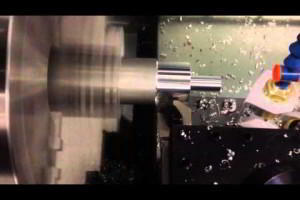 Fanuc G71 roughing cycle two-line format is already explained here CNC Fanuc G71 Turning Cycle. This article explains the G71 rough turning cycle one-line format. CNC G71 rough turning cycle is the cnc turning cycle which is commonly used for removal of the extra material from the component in horizontal direction, just write one or two blocks of cnc code and all is done. I Distance and direction of relief in x-axis (radius value). This is the amount of material which will be cut in x-axis. K Distance and direction of relief in z-axis. This is the amount of material which will be cut in z-axis. D Depth of roughing cut. 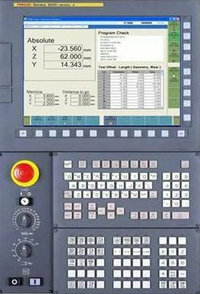 Note: I and K are not available on all cnc controls which have G71 g-code. So if your cnc control complains just omit G71 I, K parameters.